An early morning greater flamingo taking off in the Diep River, Woodbridge Island. 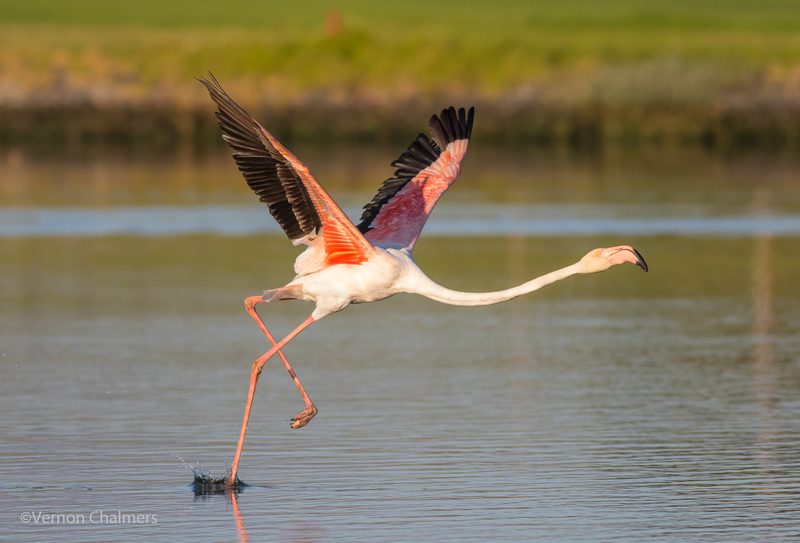 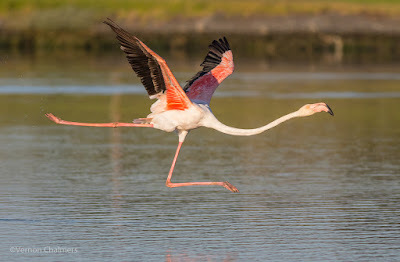 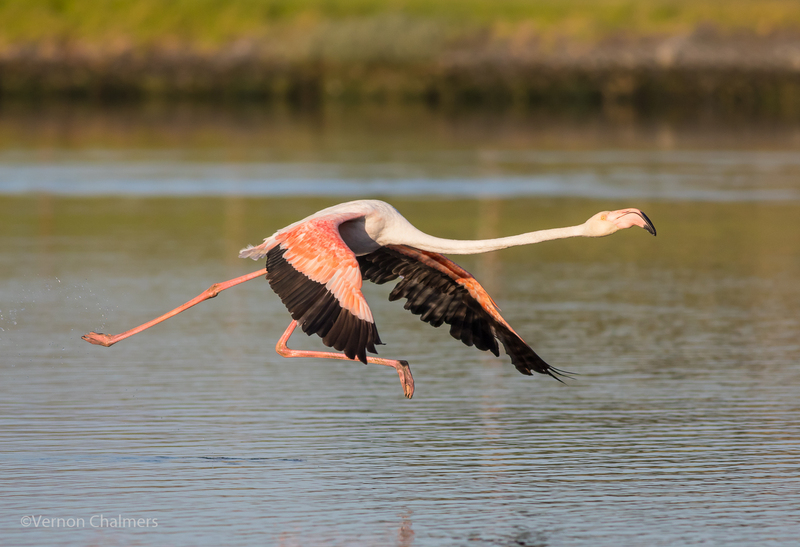 Always a delight to capture these take-offs or landings of the greater flamingo. 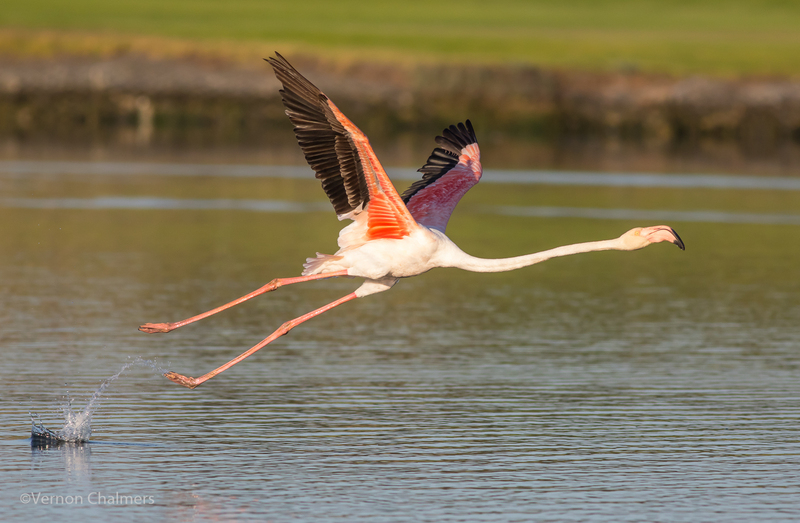 Five consecutive frame captures utilizing the Canon EOS 7D Mark II's responsive Autofocus system and extremely fast frame capture rate. 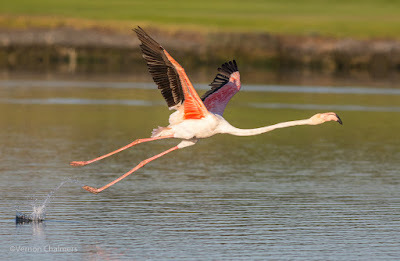 All flamingo photos by Vernon Chalmers with Canon EOS 7D Mark II / EF 400mm f/5.6L USM Lens ISO 640 f/5.6 1/4000's, AI Servo (Handheld). 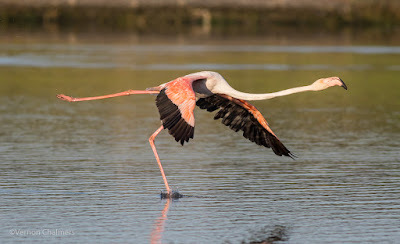 10 fps High-Speed continuous shooting mode.